Driving past the McDonald’s on Duquesne Boulevard and Hoffman frequently creates a mangled mix of disappointment and melancholy. As I reminisce, a nostalgic apparition of Green Gables rises above the deteriorating neighborhood of those Golden Arches, and I envision the departed establishment alive with families and friends gathered for good times. I hear a rumble of conversation accentuated by clanking bottles and glasses. I smell the aroma of delicious foods tantalizing my taste buds. I feel the warmth of extended family and a sense of belonging. I was just a kid in a grown up place, but I am saddened that there is nothing left of Green Gables except snapshots of blurred memories. 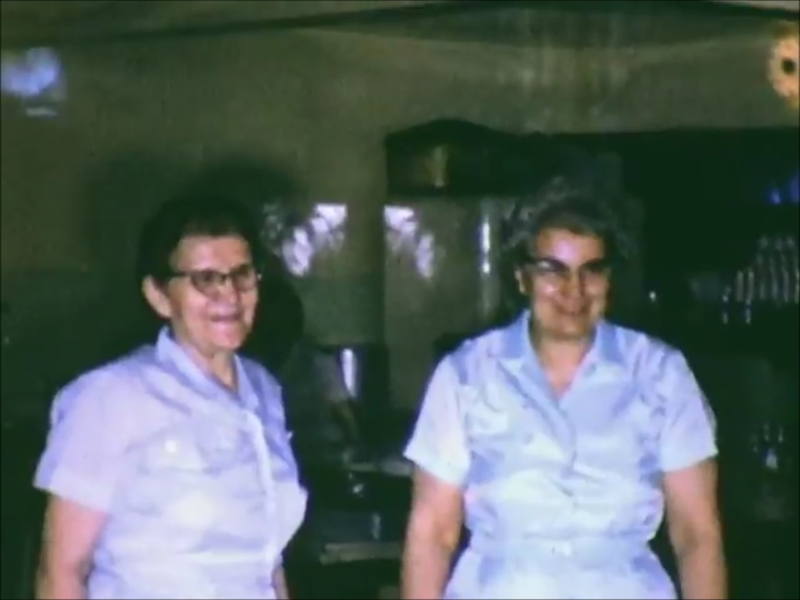 Staff member Magda Stoscich (left) and Mary Loncaric (right) at Green Gables. 1965. Photo from John A. Salopek Family Archives. I can’t imagine writing a blog about the Croatian families of Duquesne without including something about Green Gables. I grew up on the edge of Duquesne and West Mifflin where Green Gables was synonymous with Kennywood Park. Back then there was no entry fee at Kennywood, so we went to the park countless times each summer to spend our tickets on School Picnics, Nationality Days, Fall Fantasy and any other excuse we could come up with. The festive atmosphere of Kennywood spilled across the street to Green Gables, and every park visit included a stop at the Gables to say hello and socialize, grab a bite to eat or a “pop” to sip. Croatian Dance Music performed by Selo Tambura group at Green Gables. February 1958. Third from left is Joe Bumbas. Photo from John A. Salopek Family Archives. Nationality Days were the best. The Saturday of Labor Day weekend has been a holiday in and of itself, as Croatian Americans in the Pittsburgh area have celebrated their heritage since 19171 — almost an entire century! When I was a kid, everything Croatian stretched from Kennywood’s SkyView Plaza (also now extinct) to the park pavilions to Green Gables, including vendors, barbecued lamb, live tambura music, and kolo dancing. This mix of merriment accompanied every Croatian social gathering. 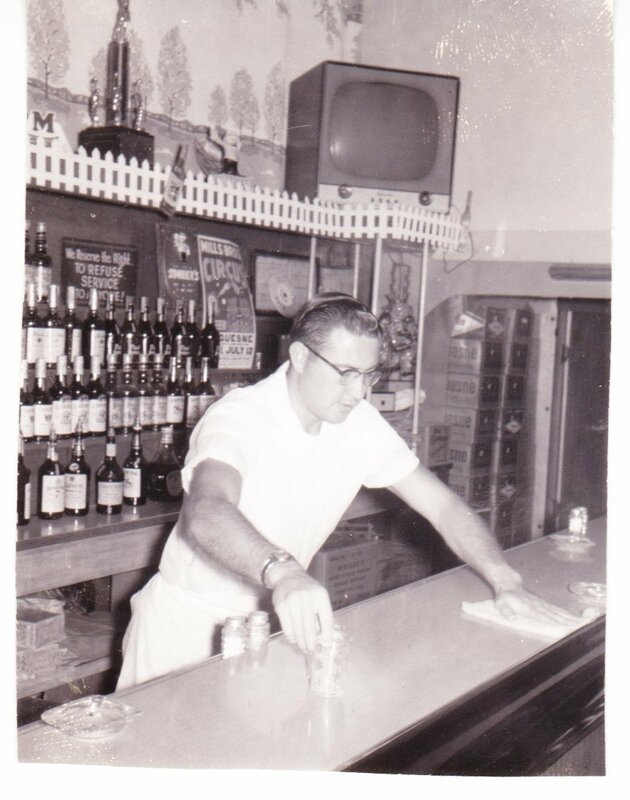 My dad, like many other dads, tended bar at Green Gables. Circa 1958. Photo from John A. Salopek Family Archives. 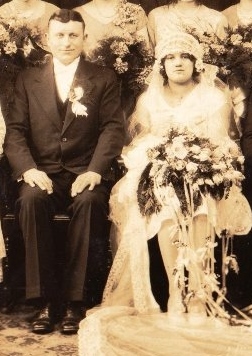 Wedding Photo of Green Gables owners, Pete and Mary Loncaric 1930. Pete and Mary Loncaric married January 26, 19303 and lived Below the Tracks in a rental property at 47 Superior Street where Pete owned and operated a barber shop4, just half a block away from the Old Croatian Club. Green Gables wasn’t born until the next decade during the relocation caused by the Steel Mill expansion. The Duquesne Times5 stated that in September of 1941 Harry and Ida Soffer transferred two properties to Peter Loncarich, one of which was 0.483 acres of land on Duquesne Blvd. According to Pat Koch, the original building with 3 Green Gables was constructed with used materials from the homes below the tracks. He added that Pete relocated his barber shop in the basement of the Green Gables, and the ground level of the building was a bar and restaurant. By April of 1942 Pete was self-employed at Green Gables6 providing a livelihood for Pete, Mary and their two sons Arthur and Richard. Cigarette Vending Machine (with reflection of wedding cake) at Green Gables. February 1958. Very few photographs of Green Gables have materialized on social media, but I managed to find a few shots of the interior among my parents’ wedding photos. 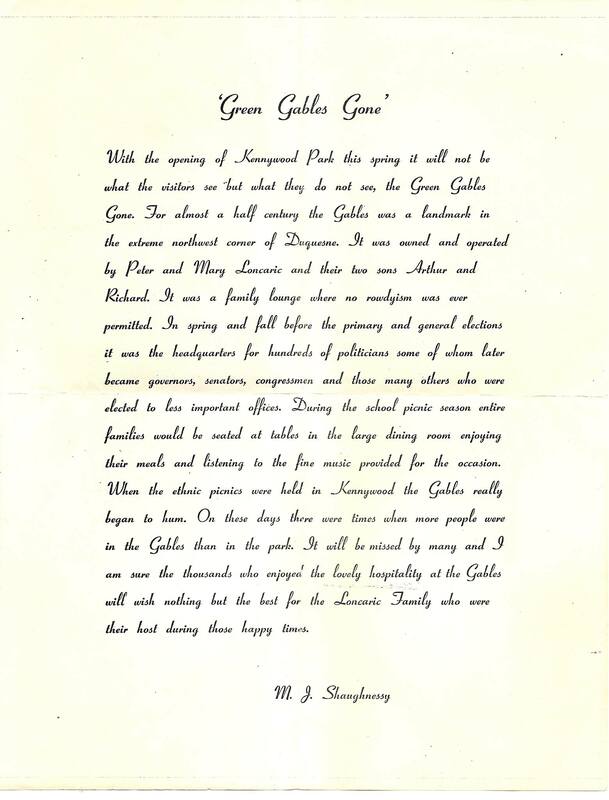 Their reception took place at Green Gables on February 15, 1958. 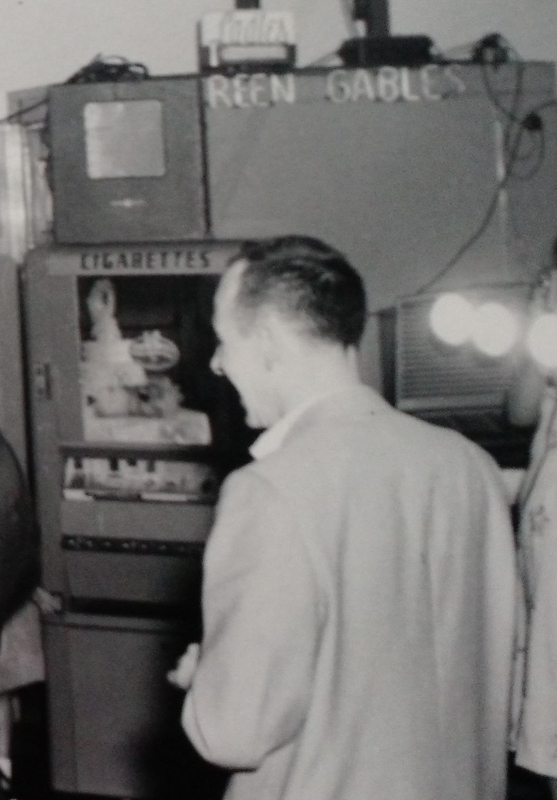 The monstrous cigarette vending machine caught my eye as a sight we seldom see these days, but what really struck my attention in these photos was the size of the television set above the bar! Not exactly a night out at Buffalo Wild Wings with the over-stimulation of multiple, large, flat-screen TVs overhead. Customers actually enjoyed human interaction and conversation, creating their own noise levels! 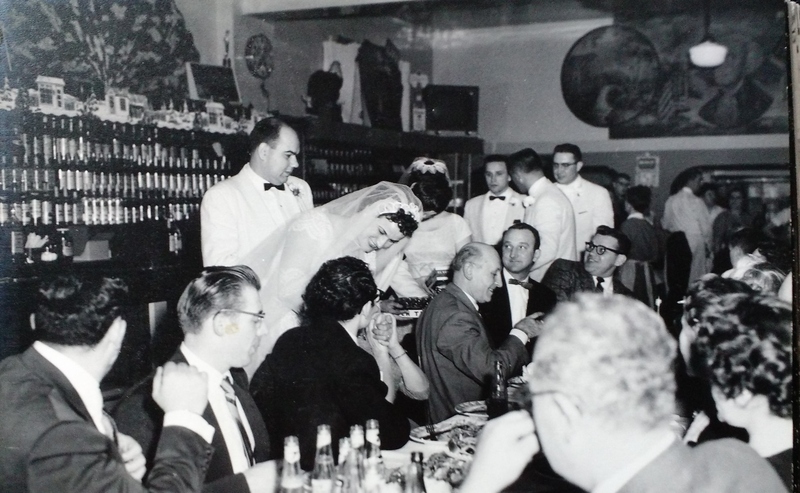 Interior of Green Gables at my parents; wedding reception February 1958. Photo from John A. Salopek Family Archives. Notice the mural of presidents on the back wall of the two reception photos combined. I do not know who to give credit for this art work or for the photos themselves. Franklin Delano Roosevelt appears as the most recent president along with Washington and Lincoln. FDR delivered one of his most passionate radio broadcasts on Labor Day weekend in 1941, the same month that Pete Loncarich secured the property for his new business. As president, FDR was close to the hearts of many Duquesne steel mill workers and their families as a leader at the forefront of the labor movement, and a God-send through years of limited steel mill operation due to the Great Depression. Interior of Green Gables captures the presidents mural. February 1958. Photo from John A. Salopek Family Archives. 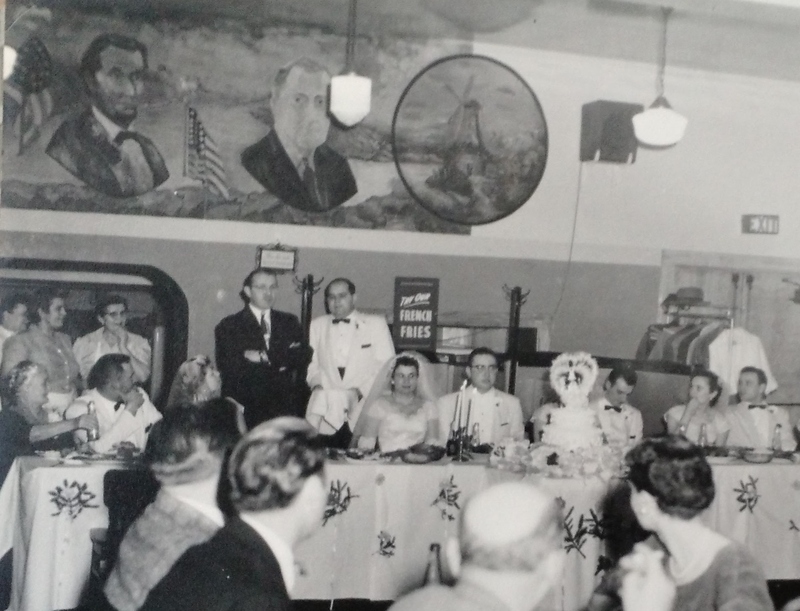 Just below the painting of FDR, along the back wall, we see Frank Lokmer of the Duquesne American-Croatian Club and Art Loncaric, best man at the wedding. My kum Arty had been one of Dad’s best friends growing up below the tracks and throughout high school. They played in Nick Lee Hollow and walked along the Boulevard to swim at Kennywood Pool. I used to think their friendship was the basis of our relationship with the Loncaric family, but further investigation revealed additional ties. 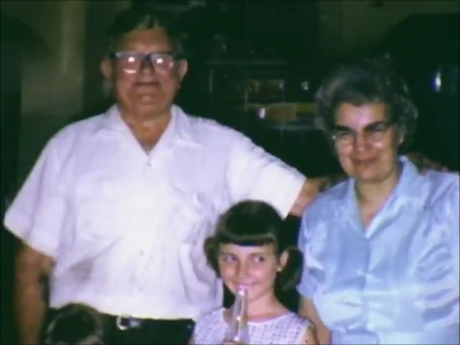 Pete was a Croatian immigrant born on 20 July 1894 in Dalmatia.7 He migrated to the United States in April of 1913 and later became a naturalized citizen in March of March of 1928.8 His wife Mary, however, was born a U.S. citizen in Duquesne, Pennsylvania on 28 February 1913 to parents Franjo Šušević and Kata Blašković9 I was surprised to discover that Mary’s parents were listed as kumovi on my grandfather’s baptismal certificate from the Croatian Catholic church in Rankin in 1904. This suggests a close connection between the families at least two generations prior to my dad and Art being friends. Perhaps they were distant cousins on the Blašković side and didn’t realize it. Maybe they knew it, but I did not realize it until now. Yours Truly sipping soda at Green Gables with owners Pete and Mary Loncaric. 1965. Photo from John A. Salopek Family Archives. There is a good chance that most of the Croatian families originating from Duquesne were related in one way or another. A majority of the surnames represented by this population were those of long-standing families from villages near Ogulin, Croatia. These people came to the Pittsburgh area with a dream. The Ghost of Green Gables serves to remind us that they did not act alone, but rather brought their visions to fruition with the support of family and friends. They worked hard, sacrificed much and enjoyed life. We cannot resurrect places like Green Gables, but we can reflect upon the richness of our heritage. We can pay it forward and infuse a dose of culture and community pride into our corner of a crumbling world. ** Many Thanks to Pat Koch for his willingness to provide information and documentation used in this article. Koch, Pat. Personal Correspondence. 8 October 2013. Duquesne Times. Marriage License Announcement. January 1, 1930 Issue. Page 12. & Marriage Certificate in the possession of Pat Koch. Duquesne Times. “Realty Transfers”. October 3, 1941. Page 5. Original Immigration Record and Certificate of Naturalization Record of Pete Loncarich in possession of Pat Koch. Ancestry.com. U.S., Social Security Applications and Claims Index, 1936-2007 [database on-line]. Provo, UT, USA: Ancestry.com Operations, Inc., 2015. Original data: Social Security Applications and Claims, 1936-2007. Also, Original Birth Certificate for Mary Suterich in possession of Pat Koch. Please feel free to contribute information and memories regarding Green Gables by leaving a Comment on this page or Contact Me. “One of the biggest events of the year for the band was the annual Scottish Ethnic Day at Kennywood Park in nearby West Mifflin, PA. Several pipe bands would gather and march through the amusement park, play in concert and then retire to the main event at the Green Gables; a bar and restaurant just outside the park. The beer and whisky flowed freely and the food was straight out of heaven. 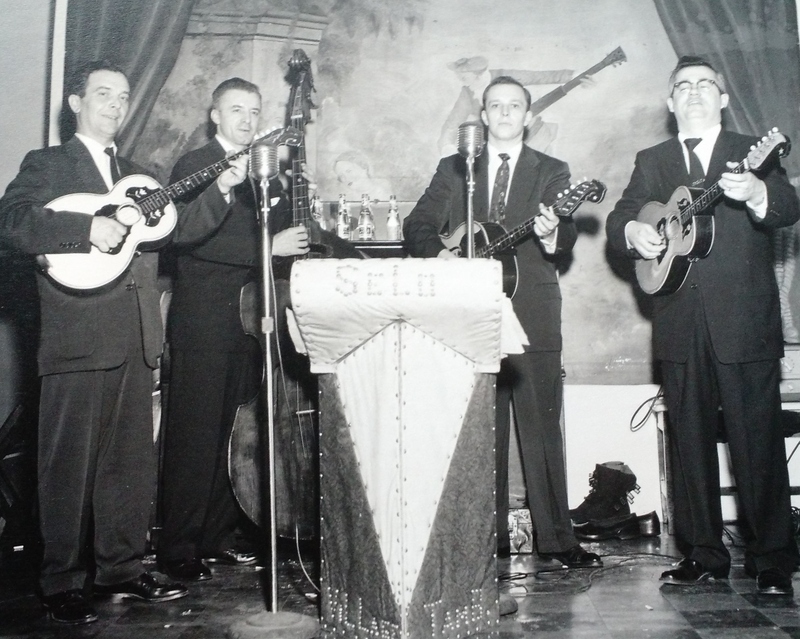 Pick-up bands were formed from members of the various groups. They would play inside the bar until the wee hours of the morning. The kids would curl up in the booths or under the tables to sleep until it was time for the most exciting ride of the day; the drive home to Donora.” Click Here for the complete excerpt.